A Hutterite colony in southwestern Manitoba is considering the unusual step of buying a shrinking rural town and moving in. The tiny population left in Mather, Man., 170 kilometres southwest of Winnipeg, have learned the neighbouring Willow Creek Colony wants to purchase the community — including houses, a post office, an arena and the streets tying them all together. The approximately 30 residents of Mather were baffled by the offer, according to the owner of the local autobody shop — and he says a number of them, like him, don’t plan to go anywhere. “It was maybe a little more bewilderment and shock, I think, than anything,” said Bob Yake, 69, referring to a meeting last month where the Hutterite colony explained why it wanted a town that is a shadow of its former self. The Hutterites — anabaptists who live minimalistic, self-sufficient and communal lives — have grown beyond the ability of their colony to support their population, they told their neighbours. When that happens, Hutterite colonies split up, usually starting slowly in a new location. Typically, a few homes pop up, linked to water and sewer systems the colony members have constructed. They build more homes then, and places to work so the new colony can become self-sufficient. It can take a decade or more for one colony to become two. But in Mather, the Hutterites probably saw opportunity, according to an author finishing a book on Hutterite history. 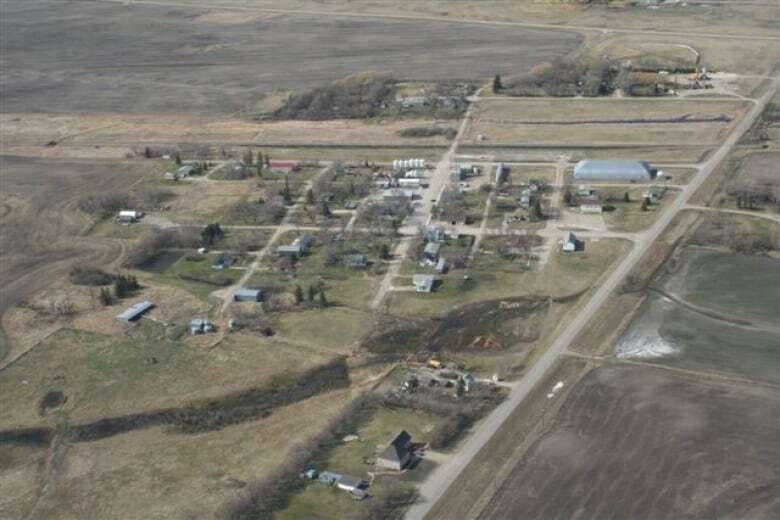 A town with existing infrastructure could be a “running start” toward establishing a new colony, said Johnny Hofer, a former teacher at James Valley Hutterite Colony, near Elie, Man. Hofer, who has heard of Willow Creek’s plans, believes their thinking is outside the box, and virtually unheard of. “If you buy a town like that, the sewer system is there, the electrical is there, the houses are there, there’s a couple bigger buildings,” he said. Hofer said there are few similar cases he could think of, aside from a colony near Portage la Prairie, Man., which was fashioned out of an airport base, and a South Dakota colony that bought a seniors’ home on the edge of a town. But Jock Lehr, a former University of Winnipeg scholar who wrote his own book about the Hutterites, said a similar move occurred nearly a century ago, when Hutterites bought a Mennonite community near Plum Coulee, Man. Blumengart Hutterite Colony has been in existence since 1922. Willow Creek leadership are planning to make purchase offers to each property owner in Mather, but according to Yake, the colony must convince everybody to sell, since outsiders cannot live within a colony. He doesn’t see that happening. “I’m personally not angry at the Hutterites or anything. I can see their point of view: they’re overpopulated, and by their own rules they have to split off and start again,” Yake said. Mather isn’t growing, he says, but it isn’t extinct either. The Hutterite colony declined an interview request on Friday. CBC News was asked to call back on Monday, when a property owners meeting is scheduled at Mather Hall. Jamie Dousselaere, the reeve of the municipality of Cartwright-Roblin — which includes Mather — did not return a request for comments. Art Harms, chairman of the local urban district of Mather, declined an interview. Other community members also declined to speak. In Yake’s 41 years in Mather, he’s seen two grocery stores, a school, a hardware store, a bank and an insurance agency wind up operations, as the population slipped from close to 120 residents to about 30 people. The hall and post office are still around. The rink is now a horse-riding arena. Yake hasn’t received a direct overture, but was told by neighbours the Hutterite colony was offering around 1.5 times the assessed value for properties. That won’t come close to letting him move elsewhere and buy a home, he said. At 64 years old, Phil Lees says he’s one of the youngest people living in Mather. The grain hauler thought somebody was pulling his leg when he heard the Hutterites wanted to move into town. But the community is split, he said. Some of his family members want to stay, while others are fine with leaving. He estimates there are 18 households in the community, and figures at least six of those homes have occupants who aren’t going to be uprooted. “I don’t want to move, let’s put it that way,” Lees said.